Whether you’re writing a to-do list, writing a label for a birthday present or solving the crossword in the newspaper, you need to write things down from time to time. We all do, and we all need pens to write with. Small wonder then that promotional pens are one of the most popular choices of branded merchandise, as research has shown that an item’s usefulness increases its promotional ability. Every time someone uses a pen, anything on that pen will be visible to the user and to anyone looking at them. What’s visible could be your company’s logo and details. Furthermore, pens tend to be kept until they run out of ink, which means the recipient will see your logo time and again over a long period of time. Pens are available in all shapes, sizes and even materials to suit any company’s needs. 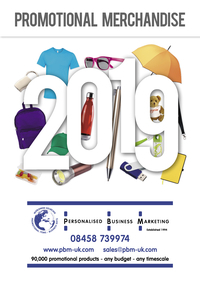 Need something cheap and cheerful you can give out during a trade show or send out to thousands of customers? We can supply plastic pens at low cost. Looking for something more exquisite to show your customers how much you care about them? We also provide metal pens (including high quality pens such as Parker, Cross and Da Vinci) that you can have your company logo printed or engraved on. For those who are concerned about the environment, we can supply pens made of recycled and natural materials such as wood or compostable corn starch. We supply pens with a variety of branding options too. As well as different methods like printing and engraving, pens can incorporate branding in different places. A simple logo might appear on the clip of a pen, while something more detailed with more company information can be placed on the barrel. Bespoke shaped clips and colour combinations are possible on some pens, and some can even be made to order in your corporate pantone colours (minimum order quantities apply). Printed pens can have logos ranging from single spot colours to full colour wraps covering the barrel. Due to the numerous different kinds of pens we supply, you can always find a pen appropriate for your budget and needs, from pens that cost mere pennies to more executive pens with their own presentation boxes and a price in the double digits. The pens we provide are also small enough and light enough to be posted to customers in conjunction with catalogues or other products without bumping up the postage costs by much (if at all). If you’re looking for something at the last minute, some pens are available with production times as short as 24 hours. Please contact us to discuss your promotional pen requirements or use the links to browse the most popular categories of pen.